The AMA Vintage Motorcycle Days Swap Meet, brought to you by Federal Motorcycle Transport is the highlight of the year for many attendees. It includes 35 sprawling acres of old, classic and even some new bike parts and memorabilia. There are new-old-stock pistons, crank seals, fork boots, wheels, complete running bikes, not-so-complete and not-so-running bikes, shocks, fenders…the list goes on. Whether you’re looking to buy or sell old motorcycles, the Swap Meet is the place to do it. For parts and vintage motorcycle vendors, this is a key outlet for reaching a large number of interested buyers. Swap meet vendor applications will be processed at AMA headquarters through June 30. However, additional spaces will be available on site. So if you have not submitted your application but still wish to be part of the swap meet, we will find a place for you. Thanks! YouTube video: What will you find at AMA Vintage Motorcycle Days Swap Meet? When and where is AMA Vintage Motorcycle Days?  AMA Vintage Motorcycle Days is at Mid-Ohio Sports Car Course in Lexington, Ohio, July 7-9, 2017. How do I become a swap meet vendor at AMA Vintage Motorcycle Days? If you are selling bikes, parts, memorabilia, services or literature, you can become a vendor. Call or email Beth Owen at (614) 856-1900 ext. 1212 for more information about being a swap meet vendor. Do AMA members receive discounts on swap meet vendor spaces? Yes. AMA members receive a discount on each swap meet space they purchase. Non-members who join the AMA when they fill out their swap meet vendor applications will also receive the AMA member discount. For more information, call the AMA. What can I sell at the AMA Vintage Motorcycle Days Swap Meet? Bikes, parts, memorabilia, services or literature only. Other products can usually get a space in the New Product Manufacturer’s Midway. Contact Kaitlyn Sesco at (614) 586-1900 ext. 1196 if you would like a vendor spot outside of the Swap Meet. How can I get a different space or more spaces at AMA Vintage Motorcycle Days? When you fill out your application form, indicate how many more spaces or what changes you want. Mail payment only for your current spaces. We will invoice you for any additional spaces you receive. Changes and additional spaces are taken on a first-come first-served basis based on the date received of the paid application. Is there a vendors’ picnic for 2017? We will provide more information on this closer to the event.